Custom Design Available! · Strong & Light. · Warranty: 1 year against manufacturer's defects (Stitching, Runners, Zips Lock, Fitting etc).· Looks amazing, Gives real professional feeling.· Dimension: 16x12x5Inch (without strap).· Original Leather Smell.· Impervious to water Bag· Genuine NDM Leather100% Original Leather Shoulder Messenger Bag · Adaptable straps.· Color –Brown· Large-size laptop, Tab, Mobile, File, lightweight travel, Office, Product Samples ,Organizer, Formal MeetingsSpecification· Image disclaimer: These images are processed by Photoshop; Color of cool product may slightly vary from the image shown.· Chrome finish. .. Custom Design Available! · Strong & Light.100% Original Leather Trolley Bag· Impervious to water Bag· Adaptable straps.· Looks amazing, Gives real professional feeling. · Genuine NDM Leather.· Chrome finish.· Color –Brown· Closer: 1 knob rotate lock wit flap coverSpecificationCan be used for: Large-size laptop, Tab, Mobile, File, lightweight travel, Office, Product Samples, Organizer, and Formal Meetings· Image disclaimer: These images are processed by Photoshop; Color of cool product may slightly vary from the image shown.· Mid-size laptop, Tab, Mobile, File, lightweight travel, good for outing· Warranty: 1 year against manufacturer's defects (Stitching, Runners, Zips Lock, Fitting etc. ).· Interior: Front open pocket; back has 1 zip close pocket; inner main compartment has cushioned space for small tab along with zip lock s.. Custom Design Available! · Image disclaimer: These images are processed by Photoshop; Color of cool product may slightly vary from the image shown.100% Original Leather Shoulder Bag · Original NDM Leather· Large-size laptop, Tab, Mobile, File, lightweight travel, Office, Product Samples ,Organizer, Formal Meetings · Looks amazing, Gives real professional feeling.· Cool Leather Smell.· Adaptable straps.· Warranty: 1 year against manufacturer's defects (Stitching, Runners, Zips Lock, Fitting etc).· Impervious to water Bag· Strong & Light. Compartment-6 Compartments· Dimension: 16 X 6.5 X 13 Inch (without strap).· Chrome finish.· Color –Brown/TanSpecification.. Custom Design Available! Chrome finishes hardware.Image disclaimer: These images are processed by Photoshop; Color of distinctive product may slightly vary from the image shown.Warranty: 1 year against manufacturer's defects (Stitching, Runners, Zips Lock, Fitting etc).Dimension:100% Pure Sheep Leather BagLarger Bag for large Laptop.Adjustable straps.Exterior Height 11 inchesColor: BlackExterior Length 16 inchesExterior Width 3 inches Strong & Light.Made from 100% Pure Leather.Interior: 1 large Laptop Compartment with quality Cushion & 1 more compartment (1 has organized structure, can be used for Documents & other staff).Trolley Bag Grip at its back.Distinctive Leather Smell.Waterproof Bag Rich in look, Gives real professional feeling.Specifications:Exterior: At front 1 3/4th size Comp.. Custom Design Available! Dimension:Specifications:Interior: 1 large Laptop Compartment with quality Cushion & 1 more compartment (1 has organized structure, can be used for Documents & other staff).Waterproof BagAdjustable straps.Rich in look, Gives real professional feeling.Chrome finishes hardware.Trolley Bag Grip at its back.Image disclaimer: These images are processed by Photoshop; Color of distinctive product may slightly vary from the image shown.Exterior Width 3 inches Exterior Length 10 inchesColor: Brown/TanStrong & Light.Distinctive Leather Smell.Exterior: At front 1 3/4th size Compartment with flap closer for small & mid size files and at back 1 large size Compartment with zip closer.Larger Bag for large Laptop.100% Original Sheep Leather Bag Made from 100% Original Leather.Ext..
100% Original Leather College BagFlaunt your distinctive style with thisleather bag pack bag that you can carry around happily anytime, any day. Onebag that has enough space to store your very important and handy stuffs. Youcan simply carry them when you don’t feel the need to carry your bulky bags. s: · Exterior: 2 small zip pockets in front.· Interior: 1 large Laptop Compartment & 2 more compartment for keepingother stuff.· Larger Bag for large Laptop with 1 day travelling stuff.· Rich in look with Crocodile Finish, Back Pack style bag.· Good for travel Bag.· Waterproof Bag.· Zip Lock, NDM with beautiful NDM with crocodile finish.· Adjustable straps.· Made from 100% Pure Leather.· Chrome finishes hardware.· Warranty: 1 year against manufacturer's defects (Stitching, Runners,Zips Lock, Fitting etc).· Image shown in Black/Wage Dual colours.·&.. Custom Design Available! Closer: Round Flap with Number Lock & 2 Tip Top Buttons. 100% Original Leather Shoulder Formal BagColor – Brown.Distinctive Leather Smell.Exterior: Flap with number lock with 2 tip top closer buttons; 1 large front open compartment with another two 1/4th front utility pockets, & another 3/4th zip compartment & 1 more 3/4th open compartment for frequently used office documents, All these covered by main flap tiptop number lock closer. And at the back 1 full size utility compartment with flap. Strong & Light.Dimension: 12 X 16 X 05 Inch (without strap).Chrome finishes hardware.Interior: Total 4 full size compartments with 1 zip compartment for bulky office files another 1 product samples & 1 compartment for full size Laptop (Good quality fabric cushioned). Total 4 organized compartments for your business/office presentation.Made from 100% Pure Leather. Specifications:Can be used for: Large-size lapto.. Custom Design Available! Trolley Bag Grip at its back.Interior: 1 large Laptop Compartment with quality Cushion & 1 more compartment (1 has organized structure, can be used for Documents & other staff).Distinctive Leather Smell.Exterior: At front 1 3/4th size Compartment with flap closer for small & mid size files and at back 1 large size Compartment with zip closer.Waterproof BagDimension:Chrome finishes hardware.Exterior Length 15 inchesExterior Height 11 inchesAdjustable straps.Strong & Light.Exterior Width 4 inchesLarger Bag for large Laptop.Rich in look, Gives real professional feeling.Color: BROWNHey you handsome wanderer! Deck up your professional style with this voguish premium quality brown messenger bag. Fashioned from 100% pure leather, this perfect looking piece of leather traveler's bag is styled with full flap, giving it an awesome appeal. Open the flap and you will find a mini organizer pockets that will help sort your .. Custom Design Available! Distinctive Leather Smell.100% Pure Sheep Leather BagClosure: Multiple Zip closer. Interior: Total 4 full size compartments out of which 1 zip closer compartment for keeping important office documents & other 1 for large size laptop (Good quality fabric cushioned) & 1 is an organizer (2 mob, 3 pen). Total 4 organized compartments for your business/office presentation.Dimension: 12 X 16 X 2.5 Inch (without strap).Exterior: 2 front large zip closure compartments & at back 1 large open compartment.Specifications:Warranty: 1 year against manufacturer's defects (Stitching, Runners, Zips Lock, Fitting etc.Inner Material: Lining FabricChrome finishes hardware.Color: Brown. Black, Tan.Made from 100% Pure Leather.Strong & Light. Pure NDM LeatherAdjustable straps.Rich in look,Size Adaptable zip (width can be increased by 2")..
100% Pure LeatherShoulder Formal BagFlauntyour original style with this sling bag that you can carry around happily any time,any day. 1 bag that has enough space to store your very important and handystuffs like Laptop, Notebook, Ipad, Mac book or others. You can simplycarry them when you don’t feel the need to carry your bulky bags;Casual bag but can go as semiformal, can be used at officeas well. Can be used for: Large-size laptop, Tab, s:Exterior: Flapwith number lock with 2 tip top closer buttons; 1 large frontopen compartment with another two 1/4th front utility pockets, &another 3/4th zip compartment & 1 more 3/4th open compartmentfor frequently used office documents, All these covered by main flaptiptop number lock closer. And at the back 1 fullsize utility compartment with flap. Interior: Total 4 fullsize compartments with 1 zip compartment for bulky officefiles another 1 product samples & 1 compartment for full sizeLaptop (Good quality fabric cushi..
100% GenuineLeather Bag For Men’s And WomenFlauntyour distinctive style with this leather office bag that you can carry around happilyany time, any day. 1 bag that has enough space to store your very importantand handy stuffs. You can simply carry them when you don’t feel the need to s:· Exterior: At front 1 3/4th sizeCompartment with flap closer for small & mid size files and at back 1 bigsize Compartment with zip closer. · Interior: 1 large Laptop Compartment with quality Cushion & 1 morecompartment (1 has organized structure, can be used for Documents & otherstaff).· Dimension: 12 X 16 X 3 Inch (without strap).· Larger Bag for large Laptop.· Color – Tan (Lighter Rich Brown).· Rich in look, Gives real professional feeling.· Waterproof Bag· Adjustable straps.· Trolley Bag Grip at its back.· Made from 100% Pure Leather.· Distinctive .. Custom Design Available! Exterior: At front 1 3/4th size Compartment with flap closer for small & mid size files and at back 1 large size Compartment with zip closer.Adjustable straps.Strong & Light.Color: Brown100% Original Sheep Leather BagExterior Width 3 inches Larger Bag for large Laptop.Rich in look, Gives real professional feeling.Trolley Bag Grip at its back.Distinctive Leather Smell.Exterior Height 11 inchesMade from 100% Original Leather.Image disclaimer: These images are processed by Photoshop; Color of distinctive product may slightly vary from the image shown.Waterproof BagChrome finishes hardware.Specifications:Warranty: 1 year against manufacturer's defects (Stitching, Runners, Zips Lock, Fitting etc).Dimension: Exterior Length 16 inchesInterior: 1 large Laptop Compartment wi.. Custom Design Available! Trolley Bag Grip at its back.Color: BROWNWarranty: 1 year against manufacturer's defects (Stitching, Runners, Zips Lock, Fitting etc.Larger Bag for large Laptop.Exterior: At front 1 3/4th size Compartment with flap closer for small & mid-size files and at back 1 large size Compartment with zip closer.Exterior Width 3 inchesInterior: 1 large Laptop Compartment with quality Cushion & 1 more compartment (1 has organized structure, can be used for Documents & other staff).Dimension:Made from 100% Pure Leather.Rich in look, Gives real professional feeling.100% Original Sheep Leather BagExterior Length 16 inchesDistinctive Leather Smell.Chrome finishes hardware.Exterior Height 12 inches Image disclaimer: These images are processed by Photoshop; Color of distinctive product.. Custom Design Available! Strong & Light.Color: Brown. Black, Tan.Interior: Total 4 full size compartments out of which 1 zip closer compartment for keeping important office documents & other 1 for large size laptop (Good quality fabric cushioned) & 1 is an organizer (2 mob, 3 pen). Total 4 organized compartments for your business/office presentation.Specifications:Chrome finishes hardware.Exterior: 2 front large zip closure compartments & at back 1 large open compartment.Pure NDM LeatherMade from 100% Original Leather. Distinctive Leather Smell.Size Adaptable zip (width can be increased by 2")Adjustable straps.Inner Material: Lining FabricWarranty: 1 year against manufacturer's defects (Stitching, Runners, Zips Lock, Fitting etc.Rich in look,Dimension: 12 X 16 X 2.5 Inch (without strap).100% Pure Sheep Leather BagClosure: Multiple Zip closer.&n.. Custom Design Available! · Compartment-7 Pocket- 4 Laptop Size-15 inch Closure· Adaptable straps.· Impervious to water Bag· Image disclaimer: These images are processed by Photoshop; Color of distinctive product may slightly vary from the image shown.100% Original Leather Shoulder Bag · Cool Leather Smell.· Color –Brown/Black· Dimension: 16x12x5.5 Inch (without strap).· Strong & Light.· Warranty: 1 year against manufacturer's defects (Stitching, Runners, Zips Lock, Fitting etc.· Looks amazing, Gives real professional feeling.· Genuine NDM Leather· Chrome finish.· Large-size laptop, Tab, Mobile, File, lightweight travel, Office, Product Samples ,Organizer, Formal Meetings Specification .. Custom Design Available! · Original Leather Smell.· Closer: 2 knob rotate lock wit flap cover· Looks amazing, Gives real professional feeling.· Warranty: 1 year against manufacturer's defects (Stitching, Runners, Zips Lock, Fitting etc).· Dimension: 13 X 4 X 11.5 Inch (without strap).· Color –Brown/Black/Tan100% Original Leather Shoulder Laptop Bag· Chrome finish.· Changeable straps.· Large-size laptop, Tab, Mobile, File, lightweight travel, Office, Product Samples ,Organizer, Formal Meetings· Interior: 100% big in size to hole full size laptop; open pocket ; inside cushioned space for laptop along with zip close pocket; apart from full length shoulder hanging belt, 1 top handle to hold in hand· Strong & Light.Specification· Impervious to water Bag· Genuine NDM Leather· Image disclaimer: These images are process.. Custom Design Available! Length: 14" (35.5cm) Crafted from finest Buffalo Leather in rich grain texture.We offer the best Cabin Trolley Bag for the travelers who all aspire to be: adventurous, perfect, and innovative. Our versatile mid-size Cabin Trolley Bag features fold-end design that opens to allow extra room and ease of packing. The stylish weekend carry-on bag. It comes in rich brown leather, trimmed with our classic Walnut leather and lined in impervious to water fabric. This classic Cabin Trolley Bag is both perfect and durable. Height: 20" (51cm) Depth: 9.5" (24 cm) 1 Large Slip Pocket with snap closure on the outside for easy access. the main compartment. 1 Large Zipper Compartment on the outside. Main Zipper Compartment has padded section and velcro closure for Laptop storage. 1 zipper Pocket inside s Two Slip Pocke.. Custom Design Available! Rich in look,Inner Material: Lining FabricSpecifications:Exterior: 1 3/4th front pocket with flap Velcro lock & 180 degree open compartment with zip closer, this compartment has 3 pens, card, mobile holders & 1 Laptop compartment with quality cushion (3)Color Rich Brown & Magical Black.Can be used for: Official Touring, 2 Days Outing Luggage Professional Bag, Lightweight TravellingAdjustable straps. Dimension: 14 X 17 X 08 Inch (without strap).Made from 100% Original Leather.Strong & Light.Interior: 1 full size compartment with robber straps to hold luggage. 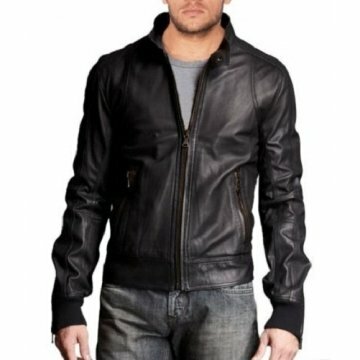 It has enough space to put more than 5 pairs of your apparels with other stuff (1) Pure NDM Leather Distinctive Leather Smell.Chrome finishes hardware.100% Original Leather Fabric .. Custom Design Available! Pure NDM LeatherDimension: 07 X 06 X 03 Inch (without strap).Made from 100% Original Leather 100% Pure Sheep Leather Sling BagSo go on. Flaunt your original style with this classy 100% pure leather black sling laptop bag with adaptable strap, anytime, anywhere. Color: Black.Other Features:Rich in lookExterior: At the front a vertical zip pocket, back with full cover flap with 4 button tip top closer along with organizer (at left side 4 small pockets for credit/debit card/Business Cards with extra vertical zip pocket & at right side 1 flip mobile pocket & a pan holder & another horizontal zip pocket) and many more utility pockets for important stuff.Specifications:Waterproof BagDistinctive Leather SmellAdjustable strapsStrong & LightweightChrome finishes hardware .. Custom Design Available! · Chrome finish.· Large-size laptop, Tab, Mobile, File, lightweight travel, Office, Product Samples ,Organizer, Formal Meetings· Looks amazing, Gives real professional feeling.100% Pure Raw Leather Shoulder Bag Laptop Bag· Original NDM Leather· Impervious to water Bag· Cool Leather Smell.· Dimension: 16 X 2.5 X 13 Inch (without strap).· Closer: Zip Closer· Warranty: 1 year against manufacturer's defects (Stitching, Runners, Zips Lock, Fitting etc).· Strong & Light.· Color –Brown· Image disclaimer: These images are processed by Photoshop; Color of cool product may slightly vary from the image shown.Specification· Adaptable straps.· Interior: 100% big in size to hole full size laptop; open pocket in front closed; inside cushioned space for laptop along with zip close pocket; apart from ful.. Custom Design Available! · Dimension: 14 X 4.5 X 13 Inch (without strap).· Inner Material: Lining Fabric· Closer: Flap cover with Tip top buttons closer· Impervious to water Bag· Adaptable straps.· Cool Leather Smell.· Strong & Light.· Interior: Front 1 open packet; 1 big compartment with zip, along with compartment for full size tab or small laptop with quality cushion; and 1 zip closer small pocket; three color fabric based design very trendy; 1 zip pocket at back100% Pure NDM Leather Bag· Made from Genuine NDM 100% Original Leather.· Chrome finish.· Looks amazing, Gives real professional feeling.· Color : Black/BrownSpecification.. Custom Design Available! 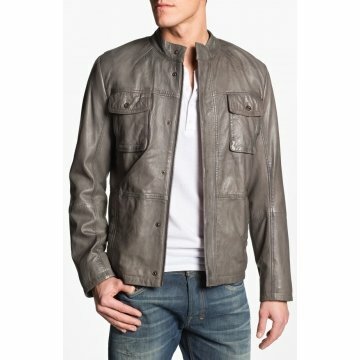 · Cool Leather Smell.Specification· Genuine NDM Leather· Image disclaimer: These images are processed by Photoshop; Color of cool product may slightly vary from the image shown. · Large-size laptop, Tab, Mobile, File, lightweight travel, Office, Product Samples ,Organizer, Formal Meetings· Adaptable straps.· Dimension: 16 X 6.5 X 13 Inch (without strap). Compartment-Compartments-5 No of pockets-5· Warranty: 1 year against manufacturer's defects (Stitching, Runners, Zips Lock, Fitting etc).· Impervious to water Bag· Color –Black· Looks.. Custom Design Available! Specification· Warranty: 1 year against manufacturer's defects (Stitching, Runners, Zips Lock, Fitting etc).· Cool Leather Smell.100% Pure Leather Shoulder Laptop Bag· Large-size laptop, Tab, Mobile, File, lightweight travel, Office, Product Samples ,Organizer, Formal Meetings· Closer: 2 knob rotate lock wit flap cover· Changeable straps.· Looks amazing, Gives real professional feeling.· Image disclaimer: These images are processed by Photoshop; Color of distinctive product may slightly vary from the image shown.· Color –Brown/Black/Tan· Interior: 100% big in size to hole full size laptop; open pocket ; inside cushioned space for laptop along with zip close pocket; apart from full length shoulder hanging belt, 1 top handle to hold in hand· Strong & Light.· Chrome finish.· Dimension: 13 X 4 X 11.5 Inch (without ..